Cakes, Cuppies And Other Confections: Pizza Night! 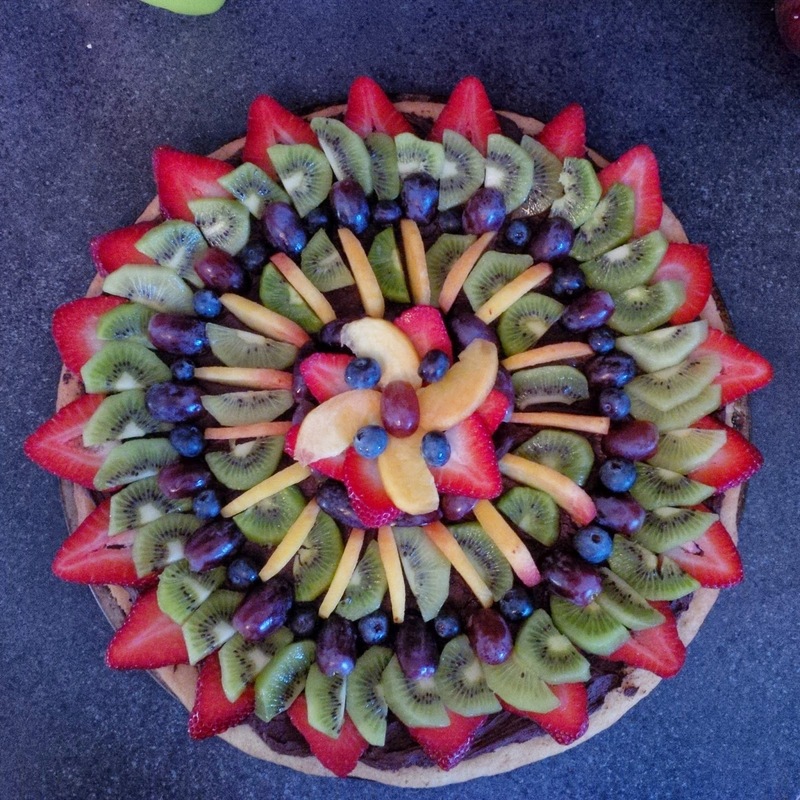 This Fruit Pizza was made to celebrate Mothers Day! Size: This fruit pizza is made on a standard 12 inch pizza pan. Taste: The crust was a vanilla sugar cookie. Filling: The 'Sauce' is homemade chocolate buttercream icing. Icing and decorations: All the toppings are made out of fresh fruit. This can be sliced like a regular pizza!